Some Kardashians are queens of contour, others are all about the faux-tox. 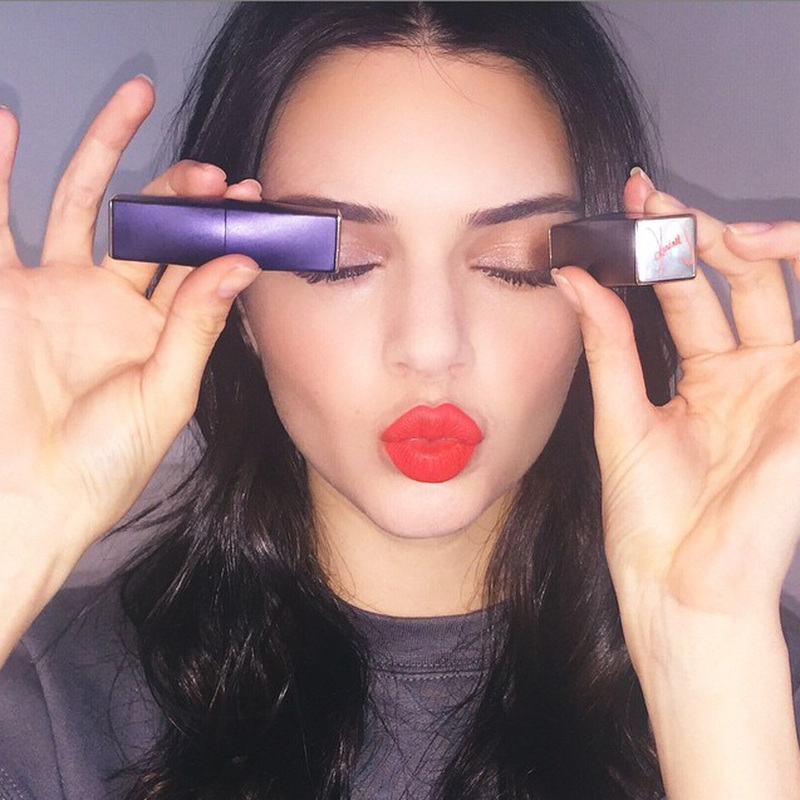 But we’re declaring Kendall Jenner to be the one with the truly perfect pout. She loves a good lip colour (see the gallery above for evidence of her 16 best looks) and now she’s giving her pouting prowess to us all, revealing her first lipstick design for beauty giant Estée Lauder – a signed version of their bestselling Pure Color Matte Sculpting Lipstick. Kendall’s colour is a hot poppy that she’s calling ‘Restless’, a pretty perfect hue that would suit any skin or eye colour and, obviously, looks incred under any Insta filter. Looking through her beauty style file (above) it seems clear that Kendall loves a classic red lip and is constantly switching between dramatic, dark rouges and soft pink tints. But we think the hue of Restless is her ideal shade – matte rather than gloss, a little bit orangey with a whole lotta pop. Keeping her skin fresh and hair slick, Kendall always avoids looking too ‘vintage’ or like an old Hollywood beauty – she’s basically bringing the red lip en trend for a whole new Insta generation. Obviously delighted with their new collaborator’s work, Estée Lauder took to Instagram to celebrate with selfies and emojis aplenty. And with that, here’s the link to shop the perfect shade yourself.